It does not get more simple then this, folks! Pretty much one pan cooking this week. 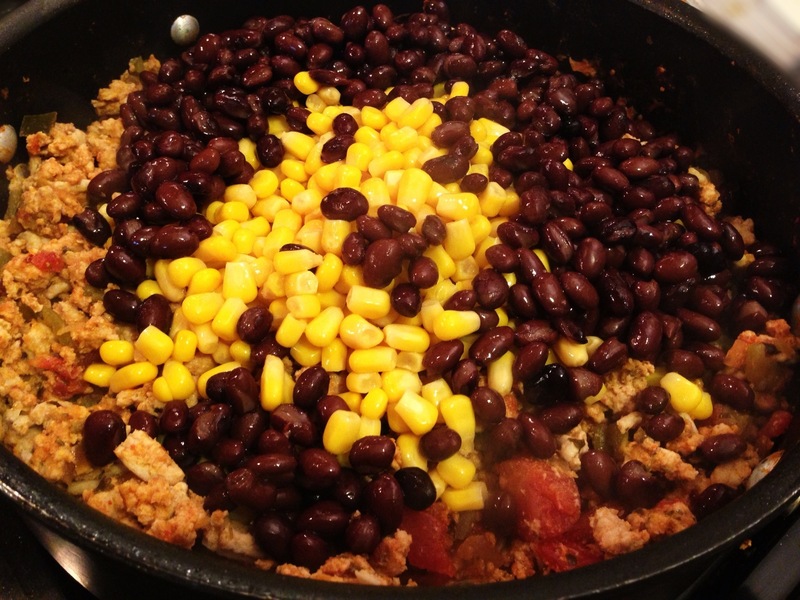 We have all been to our favorite tex-mex restaurant and had those awesome taco salads that are piled high with all the toppings you can imagine and dumped into a fried tortilla bowl that comes to your table with greases still dripping off of it. 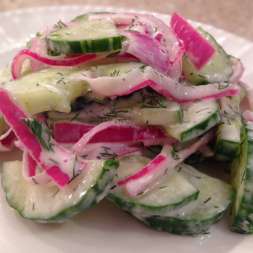 Believe it or not those salads can have upwards of 1,000 calories in them! At that point you probably should have had the XXL deep fried chimichanga for less calories. 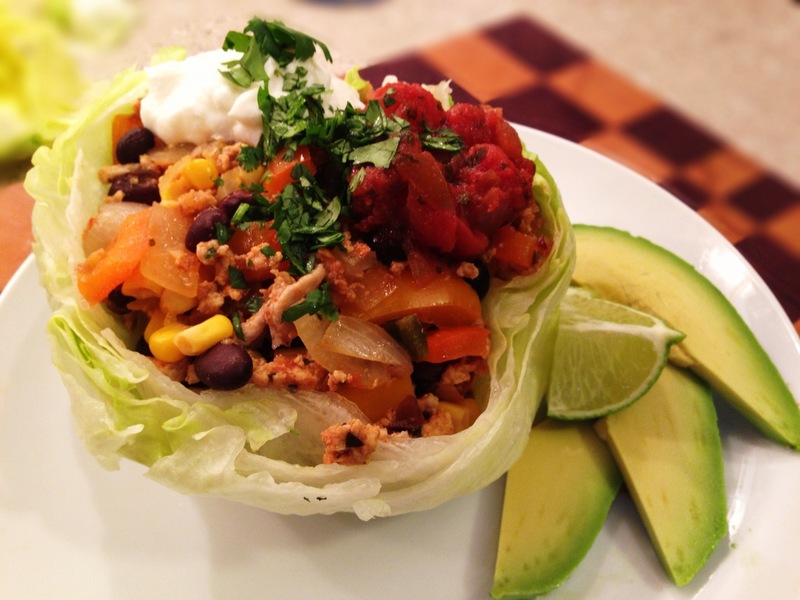 This week I replaced those calorie taxing fried taco bowl shells with healthy colorful lettuce bowls. You may say “Thats boring Susan!” or “That’s gonna taste gross!”, but believe it it or not, it tastes pretty darn similar to the restaurant version with a fraction of the calories. 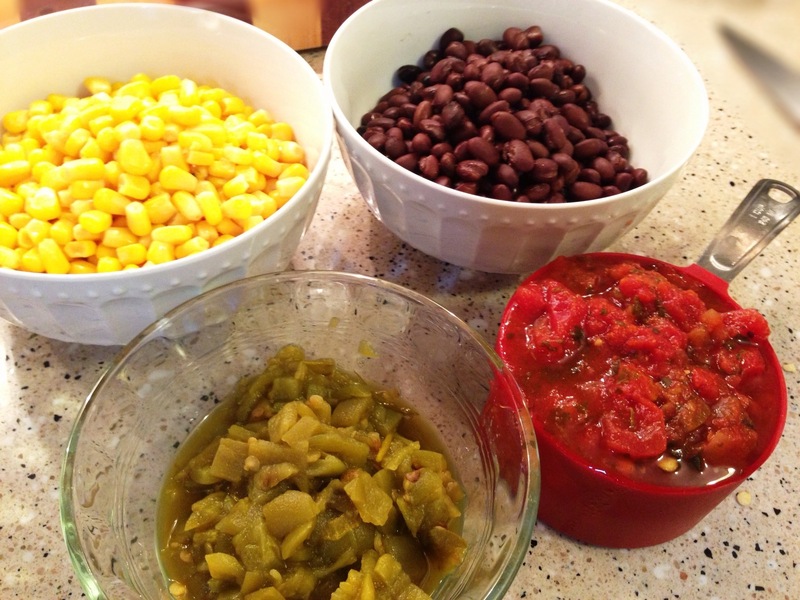 Go ahead and give it a try and add your own favorite Mexican toppings. 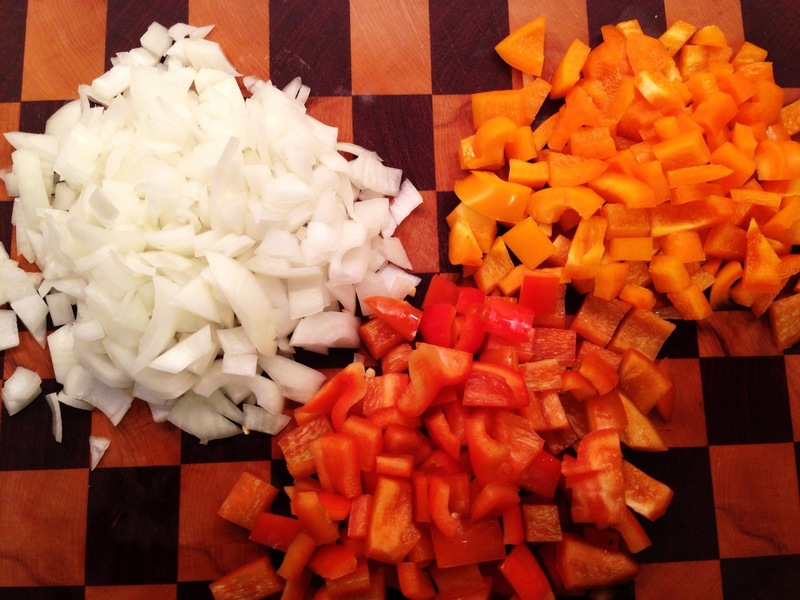 1)Chop red and orange peppers and onion. Place in a slightly greased skillet on medium heat for 5ish minutes to soften. 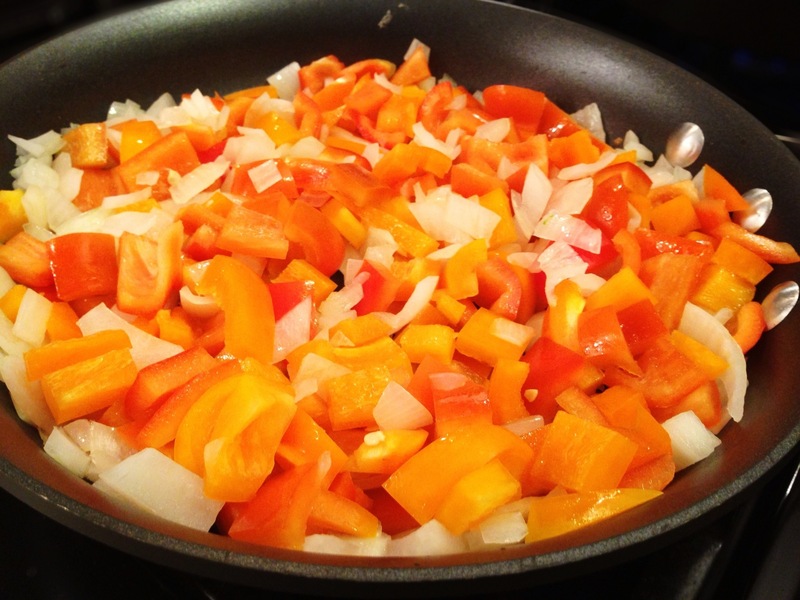 2) Spray skillet with non stick cooking spray. 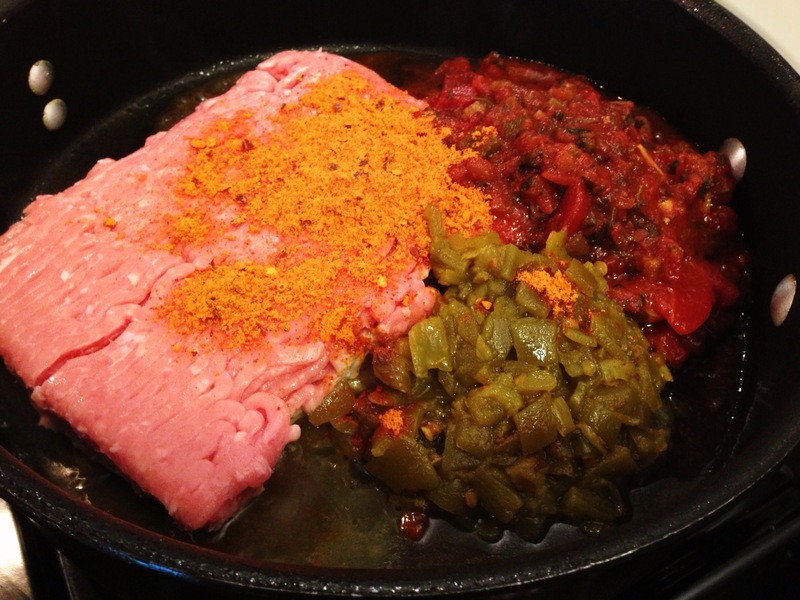 Add turkey, 1 cup of salsa, green chilis and taco seasoning and heat on medium-high. Stir to combine everything, breaking up the turkey as best as possible during cooking process. Cook for 8-10 minutes or until turkey is browned. 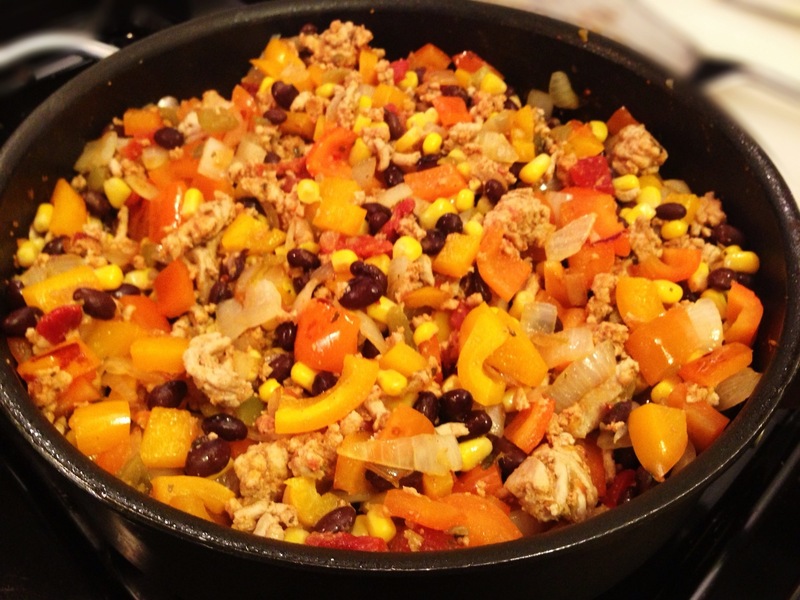 3) Add corn, black beans, peppers and onion and toss to mix. Cook an aditional 2-3 minutes. Take off heat and place aside. 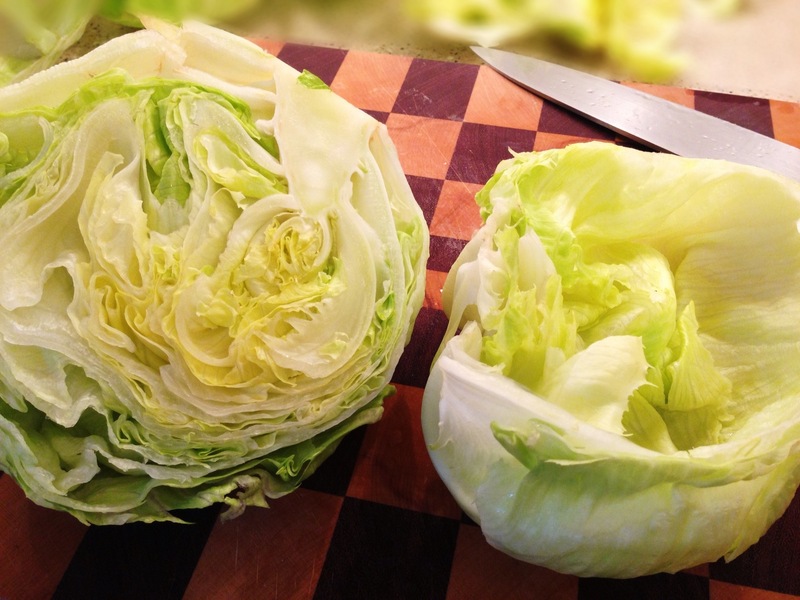 4)To make lettuce bowls, cut off the stem (base) of the lettuce head and cut in half long ways. Peel of individual leave bowls . I had a somewhat difficult time getting perfect looking bowls. 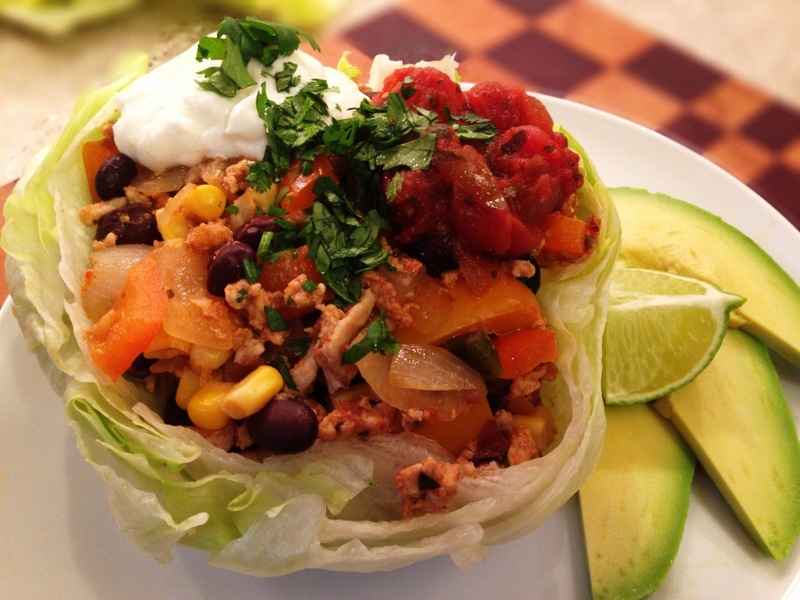 I was able to get 2 good looking bowls out of 1 head of lettuce and used my left over loose lettuce for taco salads the following day. 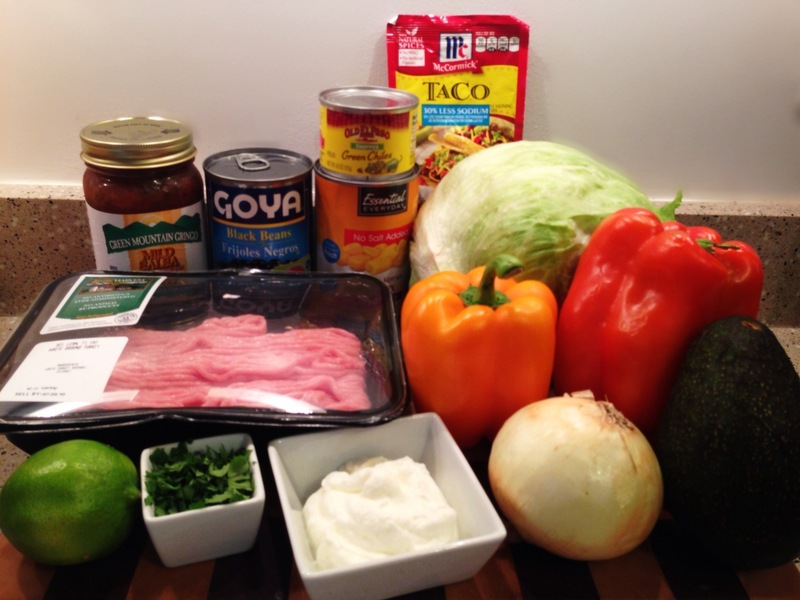 5) Fill taco bowl with approx 1 cup of meat mixture and top with your favorite toppings. I topped mine with 1 tbsp low fat sour cream, 1 spoonful of salsa, sprinkle of cilantro, 2-3 slices of fresh avocado and a spritz of lime juice. 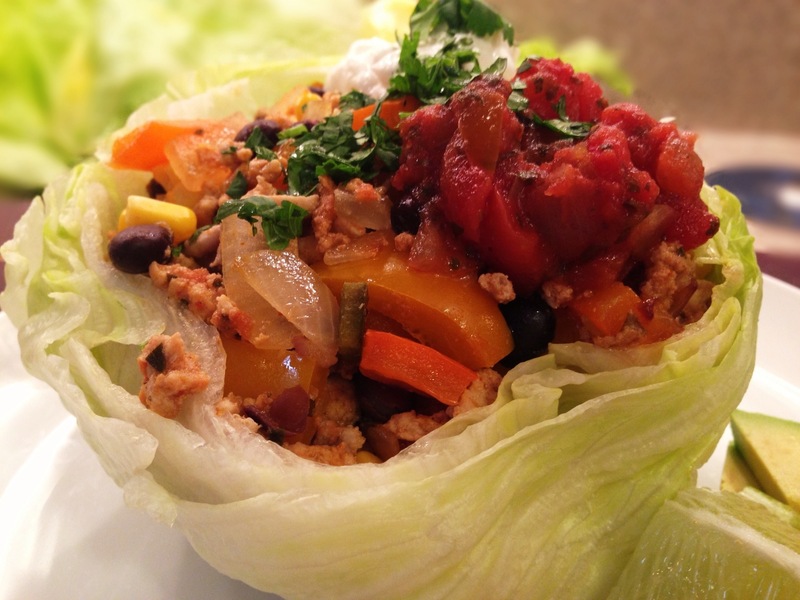 Feel free to add olives or replace sour cream with greek yogurt. A handfull of tortilla strips also makes a great addition just incase you really miss that taco shell. You will get that same crunch without the guilt of the shell. This sounds incredibly delicious! Thanks for sharing! Yum, definitely interested in trying this! My mind is blown from looking at the calorie comparisons. Amazing.